Landing in Leh airplane terminal, to be gotten by our representative and exchanged to the Hotel. Register with the lodging for an entire day of rest wherein welcome tea and espresso will be served by the Hotel. Lunch will be served at 2.00 PM. 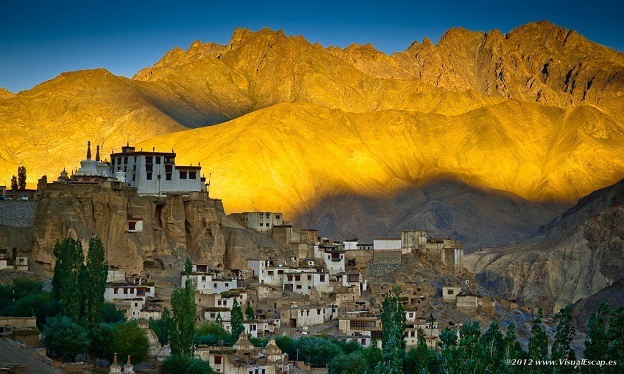 After lunch, visit Leh Market, Leh Palace, Hall of Fame and Shanti Stupa. Overnight remain at Hotel. After breakfast, drive to visit the Shey Palace, Thiksey, Hemis religious communities and Stok Palace Museum. Packed or Hot Lunch will be given. Come back to Leh at night. Overnight remain at Hotel. Drive for Khardongla Pass, which is the World's highest motorable road ranging at18380 feet. Return to Leh in the afternoon, and enjoy a Hot Lunch at the hotel. After Lunch one is free to explore the local market at one's disposal. Overnight stay at Hotel. Transfer to the airport and fly back to Delhi with memories. You will be met by our HIGHMOUTAIN ADVENTURE representative at the Srinagar airport. He will assist and transfer you to the Hotel. Items that are covered in the cost of tour price. Let us show you heaven on earth.